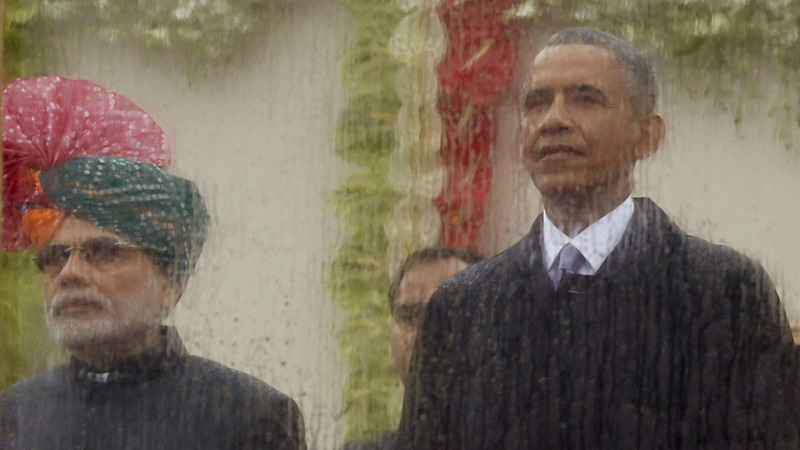 What lies ahead for the U.S.-India relationship, and what should Washington put at the top of its India agenda? Over the past several months, the Council on Foreign Relations sponsored an Independent Task Force on U.S.-India Relations—co-chaired by Charles R. Kaye, co-chief executive officer at Warburg Pincus; and Joseph S. Nye Jr., university distinguished service professor at the Harvard Kennedy School of Government; and directed by Alyssa Ayres, CFR senior fellow for India, Pakistan, and South Asia—to examine developments in India, assess India’s likely future trajectory, and identify further opportunities for U.S. foreign policy. The Task Force finds that partnership with a rising India offers one of the most substantial opportunities to advance U.S. national interests over the next two decades, and urges U.S. policymakers to adopt a new approach to the U.S.-India bilateral relationship going forward—a “joint venture” for the new century. Independent Task Force reports are consensus documents that offer analysis and policy prescriptions for major U.S. foreign policy issues facing the United States, developed through private and nonpartisan deliberations among a diverse and distinguished group of experts. CARUSO-CABRERA: Welcome to today’s launch of the Council on Foreign Relations-Sponsored Independent Task Force Report, “Working With a Rising India: A Joint Venture for the New Century.” I am Michelle Caruso-Cabrera from CNBC. It’s a pleasure to be here. We are pleased to be joined by task force Co-Chair Chip Kaye, Project Director Alyssa Ayres—did I get that right? CARUSO-CABRERA: That’s correct? We had this whole discussion backstage and then you’re on stage and you get nervous that you’re getting it wrong. Task force member Nick Burns to discuss this newly released report, which I see all of you have a copy. Just came from the printers yesterday. We’d also like to welcome the CFR members around the nation and world participating in this meeting through the livestreaming of the teleconference. And also special thanks to task force member Mary Kissel, here in the front row, for joining us in the audience today. So here’s how we’re going to start. I’m assuming most of you haven’t been able to read the report. (Laughter.) I got an embargoed copy. So I’m going to do what I think are the hits, runs, and errors, and then we’re going to get to the recommendations that are in it, which are pretty significant, and then these guys will weigh in if I left out anything on the hits, runs, and errors, all right? So India: If economic reforms hold up, they could be—could be—the next trillion-dollar economy. There are so many things about India that make it unique and a particular strategic interest to the United States. First of all, the size. Population size compares to China, except they are a democracy and English is one of their official languages, right? So no issues when it comes to a language barrier. Within the report, a key issue is—they say we really have to rethink the way we approach India. Instead of always looking for some kind official alliance, think of it more as a joint venture. There are some things you really agree on, and that’s what we should work on at this point. What is unique about this report compared to other task force reports is normally task force reports focus on recommendations for the United States exclusively. This also has recommendations for India as well, which we’ll get to. And let’s start there. Let’s start this concept of why we need to re-fundamentally think about this in terms of a JV instead of looking for the classic alliance. Who’d like to start? KAYE: Well, I mean, I’m happy to. I think what—I think one of the things we talked about is, you know, an alliance with the U.S. in any context as the, you know, dominant global power isn’t really an alliance. It’s a—it’s not an equal relationship, if you will. And India, given its own unique history, and culture, and sense of itself I think has always recoiled at that sort of notion of things. It doesn’t see itself as sort of the—the sort of second-class player in that relationship, and sort of in a subservient way. And so it’s always sort of had issues with that. And so I think—you know, Alyssa came up with, I thought, which was this clever idea sort of a joint venture idea which implies, you know, two parties that have differing interests that occasionally will overlap. And where they overlap, you can—you can coordinate and work together collaboratively. But joint ventures also sort of imply the ability to disagree. And it sort of provides the context for that, so that every time you have a disagreement it doesn’t sort of call into question the fundamental nature of the relationship, which has sometimes been the sort of—the historical problem in India is that, you know, we’ll have some very positive development, like the Indian civil nuclear deal, and that will then imply on the U.S. side that, well, now India should follow everything else the U.S. has to say that’s going on in the world. And when India doesn’t do that, U.S. sort of reacts badly and thinks that somehow things are strained. And I think the idea of a joint venture was to sort of say—it’s sort of built to succeed and built to fail, if you will, and that it survives the inevitable turbulence and recognizes that, in fact, it will come. BURNS: Well, I very much agree with Chip. And first of all, I want to thank Chip and my friend Joe Nye at Harvard for being co-chairs, and particularly thank Alyssa Ayres. She was our director. She’s a CFR senior fellow here. She did a great job on this. Just to take Chip’s points, and I agree with all of them, the Asia-Pacific is going to be the most critical region of the world for the United States in the next 50 years, for obvious reasons given the economic weight of that region, given the fact that the most powerful militaries will all be in the Indo-Pacific. And I think the majority of American attention is going to be there. We’re going to have to deal with China. And that’s going to be a very difficult, complex undertaking of being partnered with China and also being competitor with China militarily. Our relationship with India is going to stand alone in many ways, but it’s going to be strategically important for us. To have a market economy democracy rise into global power in the Indo-Pacific is in the national interests of the United States. And that’s what Bill Clinton believed. That’s what George W. Bush believed. That’s what Barack Obama believes. To have—in our highly dysfunctional capital, we have Republicans and Democrats agreeing that the rise of India’s strategically important. That’s implicit and explicit in this—in this report. I think particularly important is the fact that our strategic interests are going to be aligned—there’s an N in there. We’re not going to be allies, as Chip has said, for historical reasons. But our strategic interests will be very much aligned. That’s why India has become one of our most important military partners—particularly our naval cooperation and our air cooperation. And you might even think about triangular and quadrilateral diplomacy. India, Japan, the United States now exercising together, being partners militarily, as well as Australia, that’s the quadrilateral part of it. CARUSO-CABRERA: The report highlights that India does more military exercises with the United States than any other country. BURNS: It does. And that is a fact. And that’s an extraordinary fact. India’s also going to spend as much as any other country in the next 10 to 20 years on its national defense. And the U.S. has become, and now beginning to displace Russia, the largest supplier of advanced military technology to India. So I think this is very important, the strategic basis for the United States. President Clinton opened the door to the relationship. President George W. Bush made it a centerpiece of the relationship. And President Obama has continued it. So a lot of strength in our country as we look at India. AYERS: It isn’t typical at all, right. So we’re hopeful that this concept will provide a better conceptual framework for working with India, just as Chip said. So it’s largely directed at us in the United States, at Americas, because we do have a way of thinking that when we see eye-to-eye, when we have shared values with a country, as we do with India, it’s this great democracy, we ought to be aiming for an alliance as the kind of highest form of expression of our bilateral relationship. And that really isn’t what India is looking for. I think probably Indian officials see their ties with the United States much more along the lines of a joint venture, where will collaborate on some areas, but we will continue to have some areas of disagreement. So this will be a new way of thinking on the American side, to think that we can work very proactively on a whole slate of issue with a country like India, but we shouldn’t be surprised when they have many of their own policy concerns that turn out in a different way from the way we would recommend. CARUSO-CABRERA: Let’s get to the recommendations. I want to start with India and the recommendations, because it’s unique to this report: Embrace markets, the free markets; open competition; and really strong readjustment in their attitude toward trade. And if they don’t do these things, they risk never achieving that $10 trillion economy, never achieving the growth that can lift so many out of poverty. Why focus on this so much, besides the obvious thing I just said? KAYE: Want me to go? AYRES: I think Chip has plenty to say about this also. I’ll just say a couple words. The background of our report tries to lay out this tremendous opportunity that India has before it, where if it does continue—if it can maintain or if it can attain double-digit economic growth, it could become another $10 trillion economy in the manner that China has been. And that implies a whole lot of things for the growth of Indian power globally. That implies the ability of India to become, the word we use, much more relevant to global economic growth, to the global economy. That would make India a much more important economic partner for every other country around the world, including the United States, and a much more important component of global prosperity. That trajectory isn’t certain. And so we also spent some time in the report examining some of the hurdles that India faces. And there are plenty. These hurdles are all well-known to Indian citizens. We talk about many of them. Many of them are issues of India’s still-constrained approach to market openness, India’s concerns about not wanting to fully embrace larger regional trade groupings. It is not a part of some of the major trade conversations going on now. But we also talk about some of the internal hurdles that India faces, some of the social challenges, issues about women and girls—empowering women and girls. We talk about that a bit. And we also talk about major issues of infrastructure development. So there’s a lot there for India to have to tackle. But if it can tackle these issues successfully, it has a great future trajectory ahead of it. KAYE: You know, let’s remember the history here, right? So India was the true Fabian social experiment going back to its, you know, days of independence. And so that was the—it was the commanding heights of a state-controlled, directed—you know, the Fabian socialist model. That was its role until it essentially went broke in 1991, had a currency crisis, and got bailed out. And that was sort of the beginning of a reform agenda. But frankly, it was never really part of its ideological underpinning. It sort of it still clung more to that, you know, political favoritism, subsidies, in the name of the poor kinds of policies, if you will, and clung to that notion much more. And Modi, to me, is really—what’s fascinating about what he’s done is he has defined a pro-growth, pro-development, pro-market agenda, but he’s done it in every human terms and an empathetic voice to the Indian population. And to me, that was what was genuinely transformational about the election 18 months ago. And so in some ways, I actually think this story has a much more—shorter timeline to it than most people believe. And so I was going to say actually, based on what Alyssa was saying, that if you ask most people, you know, they actually—they sort of feel like they’ve heard this before and they don’t think it’s likely, right? And so if you ask people these days to go do a tour of the world and tell me what’s going on everywhere, you know, you float through the U.S. and Europe, and you come up with debating sort of the growth pessimism that sort of seems to cast itself over the world these days. And you talk about China and the transformation it’s going through. India doesn’t really show up. And yet, if you looked and said, OK, so where in the world at this moment in time maybe has the single best set of opportunities in a world in which its source of growth is more domestic than it is global, so it’s less affected by kind of the global winds, if you will. It’s a principal—it’s a significant beneficiary. It’s kind of a lower commodity price environment. And it’s a world awash in liquidity, looking for investing opportunity to kind of build out that Indian infrastructure. India’s in a unique moment. To Alyssa’s point, that doesn’t mean that it has to happen. It’s not destiny. But it is possible. And if you lined up—you know, if you thought about—you know, it may be the only place in the world that over the next 20 years has a chance of taking off on the high single-digit, 10 percent compounded rate of growth, and turn into a $10 trillion. And what I find most fascinating about that, at least as a possibility, is that actually almost nobody thinks it will happen. And so if you were to say what is sort of the most—what could surprise all of us? It would actually be its success. CARUSO-CABRERA: And, Nick, if you would weigh in on that, and specific through the prism of trade, which—TPP, Doha in 2008. They’re always the outliers, when they’re such a huge economy and would benefit so much if they participated. BURNS: That’s right. But let me start with the positive, because I’m—it depends on your timeframe whether you’re glass half-full or half-empty. The Global Trends Report of the National Intelligence Council projects that by the end of this century—it’s a long time, but it’s just a couple generations away—India’s going to have the largest economy in the world. The U.N. said this summer India will be the largest country in the world by population in seven years, in 2022. If you go down to Bangalore and Hyderabad, you see world-class companies, world-class high tech, global standard. But they also have, as everybody knows, sagging infrastructure, lack of energy infrastructure, high level of corruption, a greater number of poor in the world—about 40 percent of the poor in the world live in India. So one of the recommendations in the report is strategic health initiatives on malaria, on tuberculosis, that we could combine—our private sector, our NGO sector, the United States government—with the Indians. So I think there’s tremendous potential, and such a great entrepreneurial spirit as well, in India. The downside—and the report deals with this, and here’s a little bit of the tough love from the report—is that the status mentality has evolve in more of a market direction, but not nearly what I think most of us believe is necessary for that sustained double-digit growth to the $10 trillion economy. And just two examples of that. Global trade. The Doha Round broke down in 2008 largely because of a dispute between the United States and India. From an American perspective—I was in the government during those years—I think the Indians were the ones who really scuttled it. Now we have a very different approach. President Obama—and it may be one of his greatest legacies—has—in a big, big strategic move is proposing a Trans-Pacific Partnership. And I think his successor will inherit the Transatlantic Trade and Investment treaty, a free-trade agreement with the largest economy in the world, the EU. The TPP is 40 percent of global GDP. Should China join at some point in the next 10 or 15 years—and I think this agreement is open for China to join if it adheres to global standards on intellectual property rights—that will be the weight—where the weight is. India has basically kept itself out because of its highly protectionist policies. And on climate, I was in London this morning, just flew in. I picked up the FT. There on the front page is Secretary of State John Kerry, essentially challenging India: Why aren’t you part of this mainstream—and China’s part of it, Brazil’s part of it, Japan’s part of it—trying to get a global compact by three weeks from now? The first to diminish carbon emissions, the global compact in Paris. So I think on trade and climate, India is an outlier. And we can—we understand why, but I think it’s our responsibility as friends of India to try to advise them; you know, push them in a certain direction if that’s possible. KAYE: I would say, just to add one point, I mean, I do think if you look at most of the issues that India faces, they’re of the—they’re of a domestic variety; meaning they’re in its own purview to change its view, as opposed to kind of imposed from the outside. And it has struggled with sort of its embrace of kind of that market economic set of principles. It clearly has struggled, given its protectionist heritage. And Nick talked about it’s been seen as sort of a difficult player on the trade stage. And I think even today it’s struggling internally with kind of how it sees trade, and does it see it in a more negative versus a more positive light. So I think there are clearly some real challenges, the women’s issue being another classic one. You’ve actually seen labor force participation—Alyssa referred to it—go down; surprising, actually. But I think—by and large I think most of the challenges, I think what’s sort of intriguing about it is they’re domestic in nature, and therefore they’re up to them to solve. They’re their choices to make. CARUSO-CABRERA: And it highlights one of the other recommendations for India, empowering women. And we’re not going to go into that here—you can read that in the report—because I want to move on to a recommendation related to Pakistan, which is a good segue to the United States because there are recommendations from the task force for both India and the United States when it comes to Pakistan. Alyssa, do you want to articulate what the—what the position is for India toward Pakistan? AYRES: Sure, yeah. I think it will be well-known to everybody here who follows India closely that one of the big challenges in speaking strategically between New Delhi and Washington is a suspicion on India’s part that the United States isn’t doing enough to pressure Pakistan to tackle the problem of terrorism. And you hear this all the time when you speak with colleagues and friends and government officials in India. Well, our task force, by consensus, has made the recommendation—it’s sort of a two-part recommendation that you referred to. India shouldn’t want its future and its strategic options in the future to be constrained by having this ongoing perennial problem and the threat of a conflict with Pakistan. So as Americans, as friends of India, we suggest that it would be important for the United States to continue to encourage India to try to improve its ties with Pakistan. But at the same time, what can the United States do better? In that same recommendation, we urge the United States to pressure Pakistan to really uphold its obligations as a state to tackle terror. I mean, we continue to see examples of U.N.-designated terrorist people and organizations that are not facing any sort of constraint in Pakistan. So that’s a real problem. Our recommendation to the U.S. government is that if Pakistan is unwilling to really tackle this problem, then the United States government should be prepared to end U.S. taxpayer financing of defense sales to Pakistan, and also to end coalition support funds reimbursement. CARUSO-CABRERA: Do you want—do you want to add? BURNS: I think it’s a significant recommendation, and I comment Chip and Joe and Alyssa for making it, and I stand by and support them as one of the task force members. When Secretary of State Condi Rice was negotiating with India and Pakistan, she inherited a policy decades long where the United States basically balanced everything it did with India with Pakistan. And she said we’re going to de-hyphenate this relationship. We don’t have a relationship with India-Pakistan—India-hyphen-Pakistan. We should have separate relationships. And that’s led this big military relationship that we have with India. And frankly, I think, given the fact that India was attacked on 26/11/2008 from—in Mumbai from Pakistani-based terrorists, Lashkar-e-Taiba; that the leader of that organization—the report talks about this—assembles political rallies—he’s supposedly under house arrest, but he’s leading political rallies in Pakistan; when Pakistan has not shut down the terrorist groups on the Afghan-Pak border that have been shooting at our troops, really for the last 14 years; I think the report is right that if the Pakistanis don’t change their policy we ought to change our policy. BURNS: All right. OK, I’ll stop. CARUSO-CABRERA: Chip, do you want to weigh in on the Pakistan situation? No? CARUSO-CABRERA: OK. All right, so let’s move on. CARUSO-CABRERA: This is a recommendation for the United States. BURNS: A big issue has been over the last couple of years: Would President Obama leave American troops in Afghanistan past the end of 2016? And the administration announced right when this task force was ending its work that it would, but the task force goes further by saying that we should not set an end date. We shouldn’t telegraph to the Taliban when we’re going to leave. We should have sufficient troops there to make sure that we can train the Afghan National Army and continue to fight the Taliban. You see the increase of Taliban attacks on the Afghan national government over the last couple of months. I think that’s a very significant part of this report. AYRES: Just in terms of providing a greater base for regional stability. Not telegraphing an end date is positive from that perspective. In that same recommendation, I just wanted to also add that we do go on to say that it’s important for the United States to ensure that India is a part of any regional mechanism that’s set up to continue dealing with the diplomacy and the deliberations about Afghanistan. So that’s something that the task force felt was very important. India, as Nick said, has been an important development/diplomatic partner in Afghanistan. They’ve been one of the top five donors to Afghanistan, and they have an important role to play there. And the U.S. should make sure that that doesn’t fall by the wayside. BURNS: Can I just add to what we both just said? CARUSO-CABRERA: Chip, do you want to add to anything like that? KAYE: Oh, let’s keep going. KAYE: No, look, I think the core point’s actually where Alyssa started, though, right? Which is that, as Nick described earlier through hyphenation but even lately through kind of the U.S.-Pakistan relationship, at many times it seems as if the U.S.-India relationship has been held hostage by the U.S.-Pakistan one. And even as we talked and continue to see Pakistan as the interlocutor and sort of agent to carry on negotiation with various other parts in the region, frankly, I think we have something to learn from India in the context of, you know, that having not historically been proven to have worked very well. And yet, we continue to pursue it. And so I actually think this is probably one of the more provocative recommendations from a U.S. policy point of view, which is to perhaps finally learn a little bit from history and recognize sort of—and not sort of, you know, define policy there in the context of U.S.-Pakistan relations. CARUSO-CABRERA: We’re probably going to take questions from the audience right after this last question. I want to bring it to news happening right now with India. Modi’s taken a couple of big hits lately. In fact, a lot of people might have gotten an email today from one of the foreign policy magazines saying, is the Modi moment over? What’s your assessment of whether Narendra Modi can actually achieve what he—we were so hopeful he could achieve when he came to power? KAYE: Well, I mean, I guess I have to start. I mean, you know, I think, unfortunately, politics is one of those things everybody wants to sort of comment on every day as if it’s somehow this, you know, running, you know, ticker tape of—or ticker of exactly what’s going on. I think the election 18 months ago really was transformational. I think he redefined Indian politics in a way that is pretty fundamental. I mean, India was a place that struggled for most of its history to have anything that resembled a national icon, other than the—other than the Nehru family itself. And he changed that calculus. I think—as I said earlier, I think he’s also someone that redefined kind of a pro-growth, pro-development message in a way that was sort of understood and resonated within the local populace as opposed to the populist politics that had played before. So I think he’s kind of a pretty remarkable change agent. You know, that said, I’ve always had the view that this is a 10-year journey at best. And I think trying to come up with lots of these interim judgments—I saw them; you know, there were there hundred-day articles that came out. India also has this just terrible dynamic of elections every few months, and so it feels like every time there’s one of these elections—it happened with the Delhi one—you know, whenever something sort of doesn’t go right, it turns into this, is something—is something wrong? And I do think he’s got a—he’s got an interesting challenge; which is he’s, you know, not only made himself head of state, but he’s sort of acting as sort of the iconic figure of the party. And so he’s putting himself front and center in every one of the elections, and so he’s making all of these things feel more like a referendum on him as opposed to maybe letting the party apparatus, you know, go play out the elections and sort of wait while he continues to consolidate power and worry more about being head of state. So I think there’s an interesting discussion to be had about that. But broadly, I keep thinking, like, keep your eye on the journey as opposed to lots of these interim marks. AYERS: Yeah, if I could just amplify that. AYRES: I mean, our task force report was not intended to be a look back on the past month. It is supposed to be a look ahead at the next decade and what the United States should be thinking about with India. That said, I think there’s some important context to keep in mind about the Bihar results. The Modi government is unique in the past three decades of having a single party majority in the lower house of parliament. So the results of the state elections in Delhi that happened earlier this year, and now the state elections in Bihar, actually don’t have an impact on the way he can function in the lower house. He has a majority. It’s not a coalition government. This government is not going to fall tomorrow. The previous Indian governments always faced this kind of challenge—will somebody—will a coalition partner back out? Will somebody call a no-confidence vote? I mean, it was the summer of 2008 that there was a no-confidence vote on the issue of the Civil Nuclear Agreement. So that’s something to keep in mind. On the other hand, is there a brake on the Modi momentum? Absolutely. And you see that now playing out in the state elections. You see that in the kind of debates taking place every night on Indian TV. So it’s clear that there is a change in the tenor of the conversation. I don’t think that that is especially new. I think that change started happening in India in December of 2014, and I think these state-level elections have been just two more notches in a conversation where what seemed like very high and exaggerated expectations are now being brought back down to earth. So the Modi government now faces a situation where it has to be much more focused on what it’s doing politically and its messaging. And you already see some response to that, where a day after the Bihar election results they’ve now announced a slate of 15 new FDI reforms. So it’s clear they’re trying to get that narrative back on their 2014 party platform, which was economic growth and jobs. BURNS: And can I just say this? I think Modi—there’s good and bad in every political leader. And I think what he’s done very well since he came into office a year and a half ago, he’s—he has stabilized India’s relationship with all the other great powers—certainly with China and Russia, definitely with the United States—I would say India-U.S. relations have improved in terms of global cooperation since he came to office—and with the European Union. He was the first Indian leader—this morning—to ever address the House of Commons in London. CARUSO-CABRERA: Can we highlight how important that is in terms of the United States? Because there have been times in the past when the U.S. Congress has actually passed laws on behalf of India, waited for them to do some kind of—I don’t want to use the word—phrase quid pro quo, and then were left disappointed, no? BURNS: Right. (Laughter.) But let me get to that in a minute. CARUSO-CABRERA: OK. Sure. Sure, sure, sure. BURNS: I’ll just finish one thought, and that is that I think that if you took a poll of world leaders and global economists and people who watch the future of the global economy, they’d say that he’s definitely put India in the right direction, and that India needs more foreign investment, it needs to rearrange its own capital laws so that there can be majority investment by foreign owners. He’s getting there, but he’s facing tremendous opposition. So I think he’s put India in the right direction. You’re beginning to see some criticism that he is traveling too much, that he can’t get his reform agenda through the upper house, where the BJP does not have a majority. It has a majority in the lower house. And it’s very reminiscent, actually, of our debate here in the United States about President Obama. You know, can he work the system effectively? But I think he’s got—he has a secure mandate. He’s got years ahead of him. So I wouldn’t count him out. And I think in general the trajectory is in the right direction. BURNS: We were just referring to the fact that one of the legacy issues here that’s referred to only very briefly in the report—and this is a personal view—is that President Bush, and Democrats and Republicans in the Congress between 2005 and (200)8, changed American law to take sanctions off India. We negotiated the Civil Nuclear Agreement that brought India into the mainstream internationally. We legitimized India internationally. It has been a sanctioned country, kept outside the proliferation system worldwide. We brought it in with the full expectation that American companies would be able to invest in nuclear power plant construction. But the Indian parliament passed a liability law in 2010 that’s effectively made it difficult, if not impossible, for American companies to invest. This is just a personal view: I think the Indians need to work harder and the Modi government needs to work harder to honor that agreement because we’ve honored it, the Bush and Obama administrations. Our Congress has honored it on a bipartisan basis. And the Indians have kind of left us high and dry, and I think they owe it to us to work harder on that issue. Q: My name is Larry Bridwell. I teach international business at Pace University. And I would like to explore some diplomatic difficulties involving water. And I’ve heard a statement the other day that’s quite provocative, but I think it’s quite interesting. The Himalayan waters are controlled by China. And Bihar, with I guess 2(00), 300 million people, is right next to it. And the statement I heard is that if the water doesn’t flow, blood would flow. Could you comment on the diplomatic implications of water from China to India and the rest of South Asia? KAYE: You know this one? BURNS: This is Alyssa’s question. AYERS: (Laughs.) I’ll do my best, though this is not a particular area of expertise for me. The water is flowing. I think some of the concerns are—actually have much more to do with climate change and what may be happening with glaciers, and whether there will be the ability of water to maintain the types of river flows that exist today. I don’t know that there is a conversation between India and China on rivers. There is a conversation, and one that has gone quite well actually—even though there have been disputes—between India and Pakistan on the Indus waters. That is a treaty that has been managed by the World Bank over the course of nearly the past five decades, I think. Is there a problem with upstream damming? I am not aware if that is happening now in China, and I—Herb is shaking his head no. As of right now, some of the major water issues that India is struggling to deal with have to do with climate change, river flow, flooding—which does happen on a kind of every-other-year basis, particularly the Kosi River, which comes down from Nepal and flows into Bihar. That creates large-scale displacement of peoples. So whether that’s an international issue between India and China, not so much at the moment. Their main international issue has to do with the border, which is still undefined. But water is certainly something to continue watching closely. BURNS: I would just add to what Alyssa said—and this is a really good question—but there is—there is a lot of respect between the governments in India and China. They do have the border dispute. They fought a war in 1962 over it. Chinese troops have come across that border in 2013 and ’14 just to show they can do it. When the prime minister of India, both the last and current, visit the Indian state of Arunachal Pradesh, the Chinese say that’s our territory and they object. But beyond that, both countries are nuclear weapons power. They have extraordinary military weight, both of them. I think there’s a solidity to that and a rationality to that relationship. I find it hard to believe that either country would allow even a dispute over water, which is a critical resource, to descend into warfare. CARUSO-CABRERA: Gentleman here in the fourth or fifth row. Stand up. Yes, exactly. The reason I’m standing up today is because I’m one of those few people who’ve been through the independence struggle, with my family, and through the partition. And we are now noticing, as you are all noticing, the Hindu-Muslim issue—which can be a very destabilizing if not properly suppressed, as it was by Mahatma Gandhi when he was alive, as it was by every subsequent government—they’re all talking about economic progress, is wonderful, but the BJP and Mr. Modi apparently are getting some serious intellectual and political concern expressed in India about how they are handling the Hindu-Muslim situation. And I think this is a spark that can light a fire. We all know what happens in Pakistan. We know Afghanistan. We know Iraq. CARUSO-CABRERA: And what would you question be? Q: Well, my question is, how serious a problem is this, as you see it? And how likely is this to impede economic progress? KAYE: Want to go ahead, Nick? BURNS: I’ll say a word—I will say a word, but I think Alyssa might have the more sophisticated answer here, truly. I would just say, if you look at the last several Indian governments—the Vajpayee government, BJP; the Manmohan Singh, 10 years; and now the BJP under Modi—India has—the Indian government in Delhi, and many of the state governments, have been I think very adept at handling the fact that they have the third-largest Muslim population in the world and the second-largest Shia Muslim population in the world. You have not seen in India anywhere near what we’ve seen in many other countries of violence emanating from that community—violence directed towards the—towards the state—towards the government in Delhi or violence outside. You don’t see Indians by the tens of thousands joining the—some of the terrorist groups in the Middle East. And there has been relative quiet, and I think that speaks well of India. The second thing I’d say is that India has also been very careful in the Middle East. There are 6 million Indians working in the Gulf and in the Levant. And the Indians have a good relationship with Iran. They have pretty good relations with the Gulf States and the other major Sunni states. So I think there’s been deft diplomacy, both outside India and inside India, on the Muslim issue. What you’re referring to was in the news the last couple of weeks, which Alyssa probably knows more about than I do. Q: More or less several months. AYERS: Yeah, see, that’s the really important question. And you know, I think the view of the task force is that this is—we do refer in the background section of our report that, again, India does face a significant number of domestic challenges to its own rise that it will need to overcome. And we talk about cleavages—social, we do talk about economic, we talk about caste, religion, and gender. What you’re referring to now is an increased felt sense by some people in India that there is a sense of rising intolerance. So you’ve seen now writers, literary figures, some actors, some people—historians making public statements about how they want to give back awards that they have won from the state perhaps even 20 or 30 years ago. But they want to give that back as a sign of their showing their disagreement with current policies. I think for the task force this is a set of issues that are so entirely confined to India’s domestic choices that this doesn’t so much become a bilateral issue. In fact, this is not so much something that the United States can actually do much about. I personally am of the view that I think India’s got some very robust democratic institutions, and you can see what happens. Indian voters in Bihar just told the BJP what they think about the platform that they offered in the—in the Bihar election, which was a different platform than what they offered in the 2014 national election. So you’ve got that strength of the democracy, the voting booth. AYERS: —and democratic media environments in the world. So there’s a lot of criticism happening right now in India every day, 10 times a day, all over the TV, all over the papers. And so I think that force also creates this kind of buffer for India’s democracy and its sense of pluralism. KAYE: I think you both addressed the issue well. The only comment I’d make, I sometimes use India as—you know, everybody talks about sort of the Chinese economic miracle. To me, what I think’s most impressive in many ways about India is, as a nation-building exercise, it’s pretty remarkable. So if you think about the ethnic/religious/linguistic divides that exist in a place that it’s been able to maintain a relatively unified country without, as Nick sort of said, lots of—I mean, fractiousness, but not of a violent sort and not of an extremist sort, it’s actually—it’s remarkable, right? So a place where you can’t publish a law that more than half the people understand and with the tensions that exist within it, it has created that buffer to be able to deal with these issues. And we’re clearly facing them right now, or they’re clearly facing them. CARUSO-CABRERA: All right. We’ve focused on the left here. I’m going to move to the right side of the room. The gentleman here, in the second row. Q: My name is Homi Gandhi, and I represent U.N. NGO-based—faith-based group called FEZANA. Stands for Federation of Zoroastrian Associations of North America. You have been raising the question about joint venture. Joint venture implies 50/50, 70/30, or 20/80. It could be anywhere. Why don’t you talk about U.S. having special relationship with India? Because it might really help India to come back with a special relationship with the U.S.
AYERS: Well, I think actually many people do talk about that. I think the formal term that people have been using to talk about the U.S.-India relationship has been a strategic partnership. And what that implies is a kind of level of diplomatic conversation at the Cabinet level, at the summit level. What we were trying to do with our recommendation here is directed more at the United States—at American officials, at American members of Congress, at the American public—to try to indicate that it’s actually OK in this relationship with India if we don’t agree on everything all the time because that will be a limit. We are not going to agree on everything all the time. We can still continue to talk about a strategic partnership, it just won’t be an alliance—which is, I think, what many Americans expect. BURNS: Just to take this one step further, I very much agree with Alyssa. Back when we were negotiating the Civil Nuclear Agreement—Alyssa and I worked on that together for Secretary Rice—we asked Congress to change these two laws and to take sanctions off, and many members of Congress in return expected India to act like a formal treaty ally, that they would agree with us on every issue pertaining to Iran, for instance. And it was never going to happen, because India’s too proud, too big, still attached to, you know, a modern version of nonalignment. And so I really commend Chip and Alyssa and Joe for having determined joint venture. It’s an accurate way to describe this relationship, and I support them on it. It doesn’t mean we’ll agree on everything. But I think, in the main, our strategic interests in South Asia, on Afghanistan, and in the Indo-Pacific are very much aligned. But it’s not going to be the Germany-U.S. relationship or the U.S.-Japan relationship. Those are military alliances where we’re actually integrated. That’s not so much the case with India. CARUSO-CABRERA: Gentleman here in the aisle. Yep. Yeah. Q: Thank you. Joel Mentor, Barclays. So my question is regarding the provocative Pakistan recommendation. I just wanted to know, amongst the task force members, was the assumption behind that recommendation that Pakistan could actually do more and they’re not? Because I know there’s also an interpretation that they actually have a weaker hand than many may believe in terms of confronting terrorists within their country. So, taking that into account as a possible interpretation, would it still be worth the risk to potentially step away and have them fall even further out of the U.S. orbit? KAYE: Nick, you want to do that one? BURNS: Well, you know, we have—we have a lot of experience with Pakistan, both before 9/11 and after 9/11. And all I can say—and I’ll just speak personally here—I was in the government from 9/11 to 2008. Our soldiers, once we went into Afghanistan, were being attacked from terrorist groups that either had a safe haven in Pakistan or lines of communication with groups in Pakistan. And the Pakistani government—successive governments; the Musharraf government, now the Nawaz Sharif government—have been unable or unwilling to do much about that. And so we have to be hard-headed about our strategic interest. We have a major strategic joint venture partner in India, and it really makes no sense for us to try to balance what we do with India versus what we were doing with Pakistan. And if the Pakistanis are not willing to shut down some of these groups—and they have the capacity to do it; there’s no question about that—these groups based around Quetta in Pakistan, then I don’t see any reason why the United States should continue military assistance. CARUSO-CABRERA: Well, let’s underline that, because I think the core of his question was are they unwilling or are they unable, and you think they’re unwilling. BURNS: I think—I think it’s a difficult task for them, but I do think it’s a question of will. They could do it if they decided to do it. And let’s come back to Lashkar-e-Taiba, the group that attacked India and killed so many people in a savage way on India’s 9/11, in Mumbai. That group has a safe haven in Pakistan. KAYE: Well, Alyssa or Nick are better at this than I am. I think one of the—one of the challenges to me is, you know, “they” implies a unified entity in Pakistan. One of the debates to be had is whether that’s, in fact, true—i.e., you know, civilian government versus military, ISI, and what the exact relationships are between them in terms of control of the various entities of government. AYERS: Yeah. We refer specifically in the task force report, in that section of the recommendation, to the problem of Lashkar-e-Taiba that Nick referred to. The head of that organization, Hafiz Saeed, is a U.N.-designated individual. That organization, which has many other names, all of those names are designated under U.N. sanctions. That man was recently offered protection by the police of the state of Punjab in Pakistan. Why? Because—and this was in the news. This was in the press everywhere. So it’s not like this is some big secret. Apparently Pakistani authorities heard that there was going to be some threat against him. So they placed him under some kind of special protective custody. This is a person who should be tried and held to account for the actions of that terrorist group that is widely believed to be responsible for Mumbai, in which six American citizens were also killed. So our view on this was that government is not doing enough, as evidence by these kinds of situations. CARUSO-CABRERA: I’ve got a gentleman here in the front row. Q: Thank you. Allen Hyman, Columbia-Presbyterian. During the Cold War, India and the Soviet Union had a special relationship, including a military relationship. And I just wondered, is Russia still a player? Has Mr. Putin expressed any special interest in the new relationship between India and the United States? BURNS: Thank you. Very much so. President Putin and Prime Minister Modi have met several times in the last 18 months. Russia—you’re right, during the Cold War the Soviet Union, and then Russia in the ’90s and the last decade, was the principal supplier of military technology to India. That has begun to change. And if you look at the data now, the United States and Israel and the European Union countries, particularly France and Britain, have become much larger suppliers. And we now outweigh Russia. And there’s a—this is going to take a long time—but there’s a transformation underway. India is looking to Japan, the United States, Australia for military technology and cooperation in naval and air exercises. And the Russians will always be in the mix. And it gets back to this issue of the proud India. They’re not going to be in our camp totally. And they’re going to, I think, be careful, probably, to apportion their arms sales to four or five leading suppliers, not just the United States. But the trends are in the right direction. CARUSO-CABRERA: No one in the report wants to contain China. BURNS: Exactly. What did I say? BURNS: But the report doesn’t speak to this. BURNS: But I think it’s—my own view is that this is probably the largest interest that we have, in conjunction with the trade and investment, is the emergence of a strong military partnership in Asia with India. CARUSO-CABRERA: Woman here, fifth row. You—the microphone. Q: Oh, great. Thank you. Alice Tepper Marlin of Social Accountability International. And the emphasis in this very interest report, you’re all to be commended, is primarily on international scope. But you have pointed to the importance of domestic issues, particularly gender inequality, and presumably also caste and scheduled tribes. I wondered if you could expand. I did see in the report here that it says: How India manages its educational challenge, especially for girls, will be the single most important determinate for successfully turning its growing population into a resource for the world. Do you have some recommendations, not only about government-to-government, but also private sector, particularly in the context of the voluntary guidelines and the new corporate social responsibility law in India, and what American companies, perhaps working together with CSR leaders like the Tata Group, who apparently is here today, in India can do to address this grave problem? AYRES: Is that one coming to me? KAYE: Do you want to start, and then I’ll? AYRES: Sure. We do not have recommendations on that specific area. You’ll see just as a matter of format our report is divided into a set of findings and then some recommendations. The recommendations are all primarily directed at the United States with the exception of the one about India and becoming more open to trade and markets, and some comments about climate change. We did not the importance of India overcoming barriers to women and girls. And the section that you just read from addresses the disparity in literacy rates between women’s and men’s literacy. And so I think it was the view of the task force that these are findings that are some of the hurdles that India faces in being able to realize its own potential. But due to the very domestic nature of that, this was not necessarily something that we decided to put in the set of recommendations, which are very much focused on areas of bilateral cooperation. KAYE: I think to Alyssa’s point, it’s outside the purview, but I think it’s even simpler, right? You’ve got to create opportunity where you’ve now created aspiration, right? So you’ve convinced people that this path is possible. You’ve now got to go create the ability to fulfill that. You’ve got the young—you know, one of the youngest populations in the world. They probably have the single-most attractive demographic profile of any large country in the world. You know, massive numbers of people sort of—I think it’s a million a month—that join the workforce. And you need to have them trained and capable and ready to kind of go earn a living and, you know, become productive members of society or in fact that, quote, so-called demographic dividend becomes a burden. And I think, you know, India’s well-known for having some, you know, incredible, you know, higher educational institutions, the IITs and IIMs. But it’s done a far—it’s done a far less-good job at sort of the mass end of the education space. And I think that’s an opportunity both for the state and, conceivable, for the commercial sector as well. CARUSO-CABRERA: Gentleman in the last row. Q: Thank you for taking my question. Raoul Bhavnani, FTI Consulting. Question for you on the bilateral relationship between India and the United States, as compared with some of our other bilateral relationships with some of the countries you’ve mentioned—Germany, Australia, Japan. That India’s so not monolithic, and so diverse, and in many ways is a series of other countries within national boundaries. How do you perceive that any of these recommendations or any of the growth in our relationship is stymied by the fact that we’re not actually dealing with one country, but many? AYRES: Interesting question. Do you want to take it? BURNS: I would just say that I think that India in many ways is still a regional power. It’s the strongest country by economic, military, and political weight in South Asia. But it’s not as globally oriented as China, or Germany, or the United Kingdom. But I think that will come. I think India is going to be globally oriented by strategic orientation as well as economic in the decades to come. You know, despite the fact that the state governments are very strong in India, and governance is difficult, and because we live in a real glass house we can’t give too much advice about political dysfunction—but governance is difficult. And I think they’re—every Indian government has struggled to assert itself in Delhi because the governments—state governments are so strong. But beyond that fact, I think India acts in a decisive way internationally when it wants to. But it’s pretty much focused on the instability all around them. If you think of what they’ve had to deal with—a constitutional Maoist crisis in Nepal, over the last 10 years an adversary/enemy in Pakistan, a hostile government in Sri Lanka until the most recent election, an Islamist uprising and jihadi movement in Bangladesh. They’ve got their hands full in South Asia. So it’s logical they’d focus on that part of the world first. China’s a different country, more globally oriented. KAYE: The only time I made—India always to me struck—did strike, and I think to your question, more like a continent than a country, I mean, in terms of the diversity of it. I actually think it’s one of the things economically they’re using. I mean, you hear them talk about competitive federalism. And I think they have devolving both money and power to the state level and sort of creating competition among states. You know, you see these, you know, U.N. ease of doing business statistics. They’re recreating them at the state level in order to kind of create this competitive effect, and watch those places that are more progressive and open sort of succeed and drag others behind. So I think it’s a fair point, in some ways one of its strengths. CARUSO-CABRERA: Gentleman in the front row with the blue jacket. Q: Ralph Buultjens, New York University. I’m a fast reader, but I haven’t read the report yet. I just glanced through it. (Laughter.) What struck me was the almost—the total absence of any reference to the Indian overseas community. I don’t see a single mention in this. This is an incredibly influential and important part of India, although by extension. It’s about 35 million people. Their economic output today, 60 percent of what the total Indian economic output is. If your task force wants to influence India, there should be some reference to mobilizing these people and their having an impact on Indian policy, don’t you think? AYRES: We do refer—we do refer to the importance of the Indian-American community. We refer to them in a section about Indo-U.S. relations and how the Indian-American community, it has created a strong bridge between India and the United States. We also then in that same section take a look at some of the broader survey results. For example, the Chicago Council on Global Affairs does this every other year survey—they do a sort of temperature gauge of what Americans think about various countries around the world. So despite the strength of the Indian-American community, there is still a sense in which India is not quite on the broader American radar screen. And so that’s an important thing that we also noted. In this latest Chicago Council survey on the temperature scale of zero to 100, India was a 53. That’s not terrible, but it’s not as close as Germany or the U.K., which have much warmer rankings, more like in the 70s. Q: That’s not my point. Q: Why don’t you use the Indian-American—the Indian community here to influence India in its reciprocity with the United States? AYRES: Well, we don’t have a recommendation specifically focused on that. We do address the fact that there is a strong Indian-American community that has a vibrant voice and keeps India on the foreign policy agenda, but more broadly we’d like to see India a much more visible part of the American imagination. So actually, in that same section we also talk about the fact that sadly there are very few American students who go to study in India. And that’s a huge asymmetry in the relationship. It isn’t simply just an issue of India has more than a billion people and we’re about 300 million, because actually nearly twice the number of American students go to study in Costa Rica as they do in India. (Laughter.) So you know, we kind of took note of that and said, well, you know, we’ve got a strong Indian-American community. But India could be even more on the American radar screen too. KAYE: (Inaudible)—Alyssa going, which is a great point, is, you know, Indian-Americans are probably one of the most successful and increasingly politically active and relevant groups in the U.S. and has a voice. But interestingly, India more broadly is still not a particularly well-known entity in the U.S. imagination. Witness, your Chicago Council on Global Affairs, the student part. Frankly, the other one I’ve always sort of looked at—and you look at, you know, just broad tourist arrivals in India. I think it’s still less than Phuket. And so it’s not a place that has become accessible to, you know, broad swaths of the population from the U.S. or elsewhere, either at a student level or even at a, you know, broader tourist level. CARUSO-CABRERA: Gentleman here in the second row. Q: Tom Walsh, Universal Peace Federation. We didn’t hear much about Nepal, which is a close neighbor and it’s a fragile state, recently patching together a constitution. They’ve got a strong Maoist movement there. And I don’t know how much that is a factor when you configure what’s going on in South Asia and India in particular. I’d like to hear a little bit about how you’re seeing Nepal or how India sees Nepal. BURNS: Not part of the report. AYERS: Not part of the report, yeah. BURNS: Yeah. I just referred in my last remarks a little bit. The Bush and Obama administrations have worked more uniformly with India on some of these South Asian issues than we ever had before. I think there’s been a maturing of this political relationship. And so we certainly have been, in many ways, supporting what the Indians were trying to do on the constitutional crisis in Nepal. We’ve been very active with them on Sri Lanka and Bangladesh, as I mentioned. But it’s not part of the report. CARUSO-CABRERA: The last question, here, second row. Sorry if I didn’t get to you. Q: Herbert Levin, Council member. Q: Last few weeks the Indians have closed the border to Nepal. And the NGO Americans on their phones—satellite phones have been reporting back of the starvation in Nepal because the trucks are not coming across with food or with fuel to save the Nepalese. These are Americans talking to us back in New York. Now, for the Indians to violate the U.N. convention of not interfering with shipments to landlocked countries is not a new thing. We know about Bhutan, et cetera. Do you think it’s possible for the American government to get a little bit more robust with the Indians when they violate international agreements like this? AYRES: Yeah. I’ve been following this pretty closely. First of all, I should say, I don’t know what the content is of our current government-to-government communications with India on Nepal. So I’m not privy to that and I don’t know the answer. I am certain there is communication and I’m certain that people are talking about this. The government of India says that this is not a blockade and that this is an issue of trucks—the truck drivers not wanting to enter what they see as violent protests, that they’re fearful of entering. Nepalese seem united in saying that that is not true and that this is a blockade. So I do not know exactly what is happening there, but it’s pretty clear that Nepalese believe this is a deliberate blockade. There’s a lot of diplomacy happening now between India and Nepal. I am sure that that is a subject of conversation with the United States as well. As Nick said, there has always been a very good conversation between Washington and New Delhi. But what precisely that conversation is, I don’t know.